Demand for homes in the Peebles area has seen Eildon Housing Association (Eildon) receive an average of 32 bids per property over the past three years. 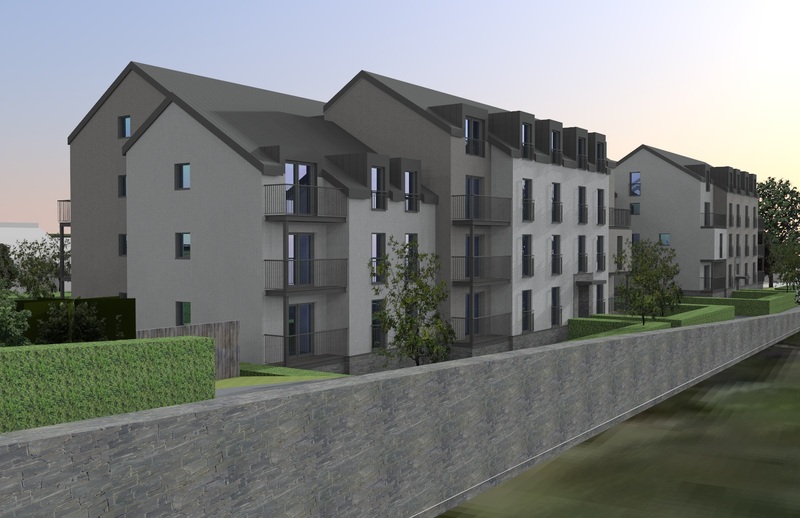 Eildon Chief Executive Nile Istephan anticipates a similar level of demand should planning permission be granted by Scottish Borders Council for 40 new homes the local charity is planning to build at Tweedbridge Court, Peebles. He said: “Housing need is a major issue across towns and villages in the Borders. People at all stages in life – from young people and families with young children to older people with care requirements – are looking for affordable housing. At Eildon we are working closely with local communities, Scottish Borders Council, the Scottish Government and other statutory agencies to address this most fundamental of social and economic priorities. The regeneration of the Tweedbridge site, which has lain derelict for several years, is a long-term project for Eildon. We have removed buildings which were in an advanced state of decay and have engaged in extensive consultation on how the new development can best be designed and laid out. We were very much aware that the previous owner of the site and various private sector partners had faced significant development design and construction challenges. From careful consideration of the broad site characteristics we have produced a plan which minimises any risk of flooding and places buildings at a suitable distance from neighbouring properties. We have also invested in high-quality design and materials to make sure the new homes sit well alongside the traditional building styles in the town. In ensuring flood prevention measures are fully incorporated we have worked to technical advice from the local authority. This consideration has influenced the height of the proposed buildings as lower-level designs would not be practical given the depth of foundation and flood prevention works required. We have been able to leave significant space around the proposed buildings, including areas previously filled by houses. We are committed to creating high-quality landscaping and public space to make sure the development sits well with the local area and is a positive addition to the town.